I just setup a Google AdWords campaign for a client, and I’ve decided to share our Adwords Checklist because I think you’ll benefit from it when setting up a new campaign. A very common mistake that almost all new PPC advertisers make is to set the keyword match type to Broad. Broad match will give you the most traffic, but in the early stages of your test campaign you don’t want to risk showing your ad to irrelevant keywords. The match type of a keyword tells Google which keywords should trigger your ad to be displayed. For example, if all of your keywords are Exact match, then you tell Google to only show your ad when the exact keyword is typed into Google. Broad match keywords will trigger your ad for the exact match, the phrase match, and also for any other keyword that Google has determined is related. So as I said before you’ll get the most traffic with Broad match, but you risk showing your ad to irrelevant traffic that Google thinks is related to your product or service. Modified Broad match is a more advanced technique to limit which keywords trigger your ads to be displayed. So the first thing you want to check is to make sure your keyword match type is NOT Broad. I recommend starting with Phrase match because you’ll get the best of both worlds with regards to targeting and reach. However, with Phrase match you need to make sure you complete step #2 below. Negative keywords are critical if you’re going to use Phrase or Broad match keywords. Otherwise, your ad would display for search phrases like “laptop hard drives,” which is not going to be relevant for your business. A useful tool for finding negative keywords is Google’s “Related searches” on the left hand side of the Google search results. Simply search for one of your keyword phrases, click on “Related searches” and then copy any keywords that are NOT related to your product or service. I get a lot of questions from clients about what value to use for the initial cost per click (CPC) bid. The best place to start is to use Google’s Keyword Tool to get the estimated CPC for each keyword. The estimated CPC is typically the most you would have to pay to be #1 with a good ad. However, if your ad can get a better click through rate (CTR) compared to your competition, then you should be able to get a much lower CPC over time. There are many factors that determine your exact CPC, which is beyond the scope of this article. The important thing to remember is that your initial CPC bid is not what you’re actually going to pay for each click and over time you should be able to drive down the cost with good ad copy. I recommend you start with an initial CPC bid close to the estimated CPC Google gives you in the Keyword Tool. This will ensure your ad gets good exposure in the top positions so you’ll have the best opportunity to get a high CTR. If your ad copy is good enough to get you a high CTR, then you’ll be able to lower your bids over time without Google dropping your ad position. Again, there are other factors, but this is the basic strategy that I recommend if you’re just starting out. Once you have your keyword bids set, it’s time to set your daily campaign budget. For your initial test, I recommend you run your ads for at least 10 days so you get some data for each day of the week. I say 10 rather than 7 days because it typically takes a few days for your campaign to ramp up. So if your budget is $500 per month, then you should not spend more than $50 per day. Then if you max out your budget you would pause your campaign, make any adjustments based on the test data, and then resume the following month. As long as your Delivery method is set to “Standard: Show ads evenly over time” Google will spread out your ad impressions over the entire day. This will ensure your ads don’t stop displaying mid-day because you hit your budget. 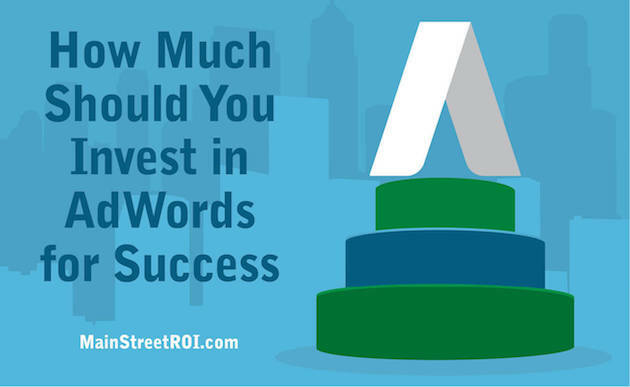 If you have a lot of keywords that you want to test, then you’re either going to have to spend more time testing OR spend more money each month because your cost is going to be spread out over so many keywords. I like to get at least 100 – 200 clicks on a keyword before I declare it a winner or a loser that I need to pause or delete. So that means I try to get at least 100 clicks for EVERY keyword in the ad campaign. If you have a lot of keywords, then I suggest you pair down your list for the initial test and then you can always add more keywords later once your campaign is up and running. The formula to estimate how much it’s going to cost to get 100 clicks per keyword and how long it’s going to take is fairly straight forward. Cost = 100 clicks X estimated CPC. Therefore, the estimated cost is $697 to test this keyword. Plus, we could get 100 clicks in just one day if our ad CTR is 1.5% and Google displays our ad for all of the available impressions. So from that simple formula you can estimate the cost and time frame to test each keyword. Then you can adjust your daily budget accordingly and add or remove keywords from your initial test list. Ad copy is beyond the scope of this article, but I want to make sure you start with at least 3 text ads. The reason to start with 3 is because it’s impossible to know from the start which ad is going to generate the higher CTR. Since a high CTR will allow you to get a lower CPC you want to always be testing to improve your ad CTR. If you only start with one ad, then you’re wasting an opportunity to test a different ad variation that could give you a higher CTR. Similar to keywords, you need to wait until you get a large enough sample size before you can determine an ad is a winner or a loser. There are many statistical analysis tools online (search for “split test calculator”) that you can use to determine which ad generates a statistically higher CTR. In addition to CTR you’ll want to measure conversion rates (discussed in #9 below) to determine which ad performs the best for your particular conversion goals. It’s possible to have an ad that generates a high CTR, but does not convert as well so in that case you would stick with the ad with the higher conversion rate. For that reason, I recommend initially setting your “ad rotation” to “Rotate: Show ads more evenly.” This will rotate your ads equally between all of your ads and give you control to determine which ads are performing best. You can also tell Google to optimize for clicks or conversions, but when you’re just starting out I find it’s best to manually pause and add new ads. This will force you to monitor and actually add new ads rather than rely on Google’s optimization algorithm. This one is simple. Make sure you’re targeting the correct locations. 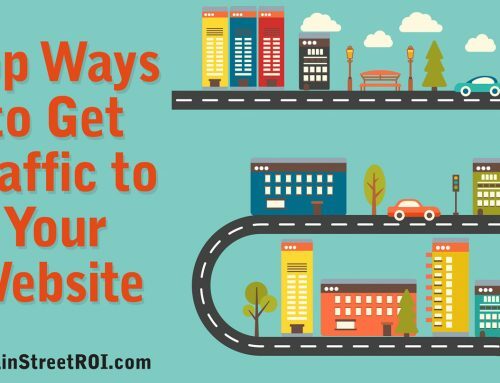 If your business only serves local customers, you’ll want to focus your ads on your geographical area. For example, if you are a dentist in Manhattan, you’ll only want to show ads to people in and around New York City. If you serve an international audience, I highly recommend you start with one campaign targeting one country. Then once everything is working in one country create a new campaign to test another country. This will allow you to tailor your ads for each country and easily show you how each country is performing separately. Again, this is simple. Select Search and uncheck the Display network. By default Google tries to opt you into the Display Network, but we only want to target Search traffic for the initial test. If all goes well, then you’ll create a new campaign that targets only the Display Network and uncheck the Search network. Unless you have a mobile optimized website, I recommend you start by targeting Desktop and laptop computers and Tablets with full browsers. Once your campaign is optimized for computers and tablets, then you can expand your reach by targeting mobile devices with a mobile optimized website. Last but certainly not least is conversion tracking. If you fail to set up conversion tracking, then there is no way you’ll be able to measure the effectiveness of each keyword in your campaign. You’ll be flying completely blind. To set up conversion tracking, go to the “Reporting & Tools” menu and select “Conversions.” Then click on the New Conversion button and follow the directions in the setup wizard. Your webmaster will have to add the conversion code to your website and then you’ll be all set. Well that’s it for now… this was a lot of info and I hope it’ll help you when you launch your next PPC campaign! You’re getting 43 expert tips to minimize risk, get cheaper clicks, and get more customers with Google AdWords.